I know I can count on it every time. 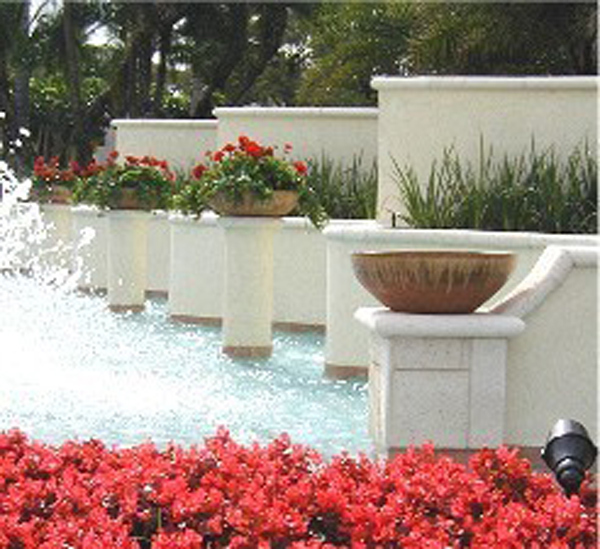 A local landscape architect could not find the big pots he needed for the fountained front entry to a development in Boca Raton, Florida. 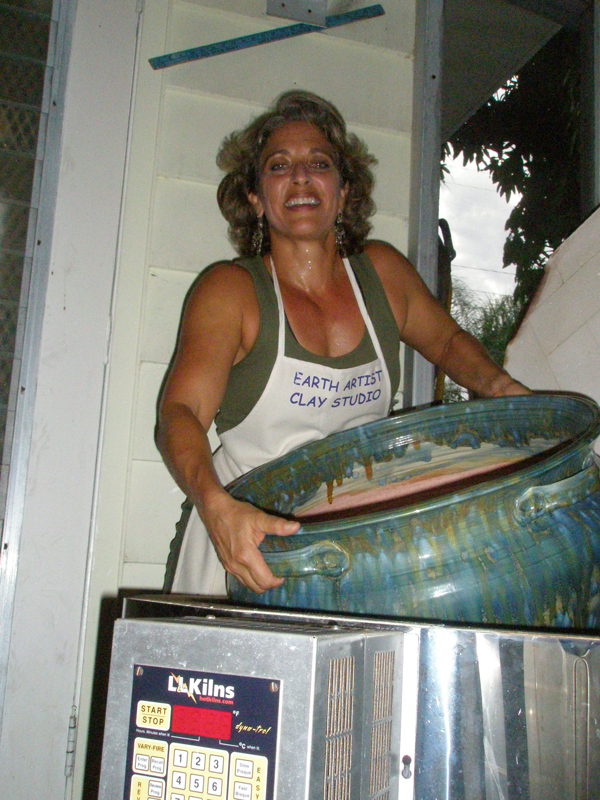 Luckily he found me and I found a big enough L&L kiln at my local clay shop, The Craft Gallery in West Palm Beach. 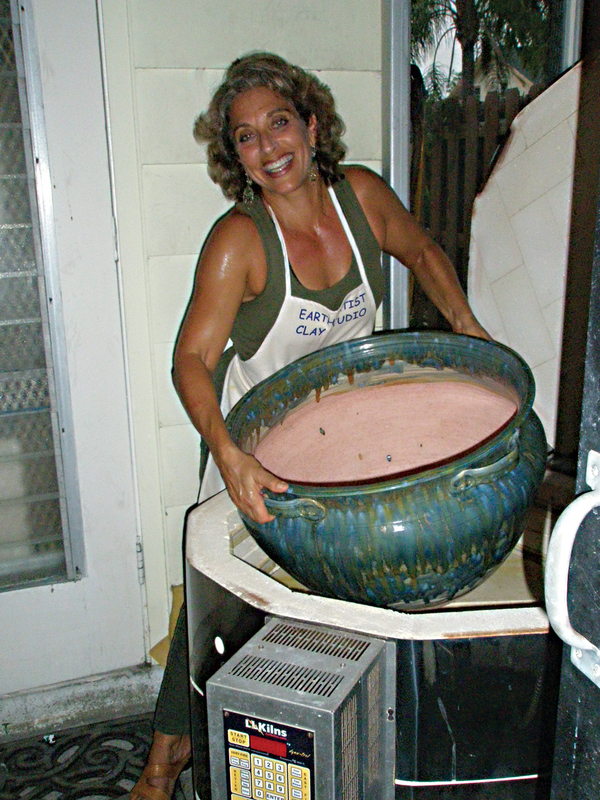 Creating, loading and unloading a 65 pound pot is not pretty, but my L&L is tough enough to make it possible. 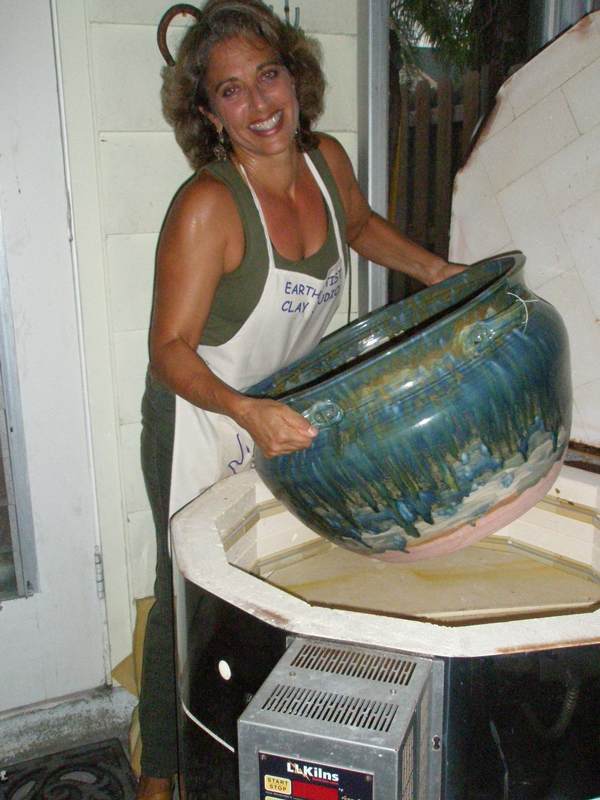 This is my favorite kiln. I know I can count on it every time. As my career in the visual arts unfolds, I find myself drawn to diverse projects in clay that afford me an opportunity of creative learning. I continue to grow as an artist and human as I research concepts and ideas to be translated into a visual format. Through clay, I can express abstract feelings of strength, power, freedom, oppression etc. As a woman, I am influenced by the reoccurring struggle between empowerment and powerlessness in our society. The challenge for me comes in creating a piece that will have sustainability in materials, emotional substance and will, in the end, celebrate our humanness.